46 are women, and most likely face deportation. The authorities have accused them of converting Muslims to Christianity. There is no religious freedom in the country: the monarchy allows private worship of other faiths, but the religious police carry out indiscriminate arrests. Damman (AsiaNews / Agencies) - Saudi Arabia has arrested 53 Ethiopian Christians - 46 women and six men - for holding a prayer meeting in a private home. Police officials have sealed the house and taken the faithful away, accusing the three religious leaders present of attempting to convert Muslims to Christianity. The incident occurred at Dammam, the capital of the Eastern Province of the Kingdom, and dates to February 8, but local sources, linked to the World Evangelical Alliance's Religious Liberty Commission (WEA-Rlc) recently reported the news. According to the WEA-RLC, Saudi authorities should release two of the Christians who hold residency permits. In all likelihood, all the others will be deported. Saudi Arabia does not recognize, or protect, any religious expression other than Islam. The religious police (muttawa) carries out controls to eliminate the presence of Bibles, rosaries, Crosses and Christian assemblies. And even if the royal family allows religious practices other than Islam, at least in private, muttawa agents tend not to differentiate. This is not the first episode of religious persecution against the Ethiopian community. 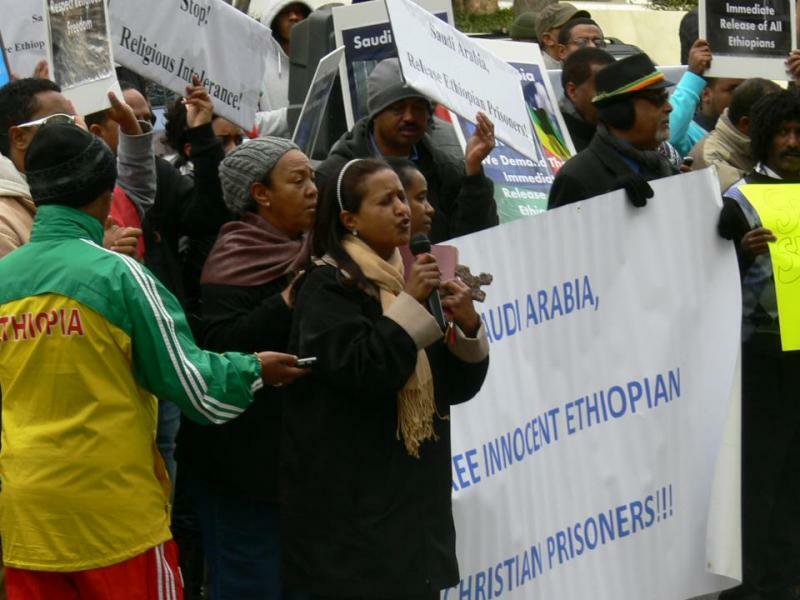 In December 2011, the Saudi authorities arrested 35 Ethiopian Christians, 29 of them women, charging them with "illegal socialization." In this case, the faithful were detained in the middle of a prayer meeting in a private home in Jeddah. According to Human Rights Watch (HRW), the imprisoned women were subjected to arbitrary "medical inspections". The city of Dammam, where the accident occurred on February 8, is a major industrial center and port, rich in oil and natural gas.